The European Parliament launched a procedure to lift immunity of French far-right leader Marine Le Pen on Wednesday (26 April) over claims she misused funds. The assembly's president Antonio Tajani announced that a request from French judges had been forwarded to its legal affairs committee. The process is scheduled to begin in June. 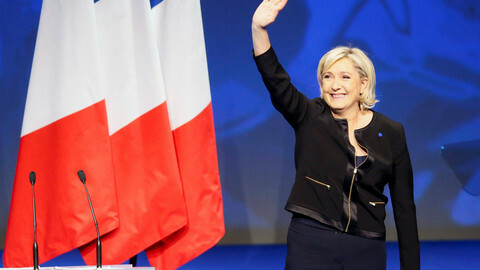 The move comes as Le Pen, an anti-EU politician who has been an MEP since 2004, campaigns for the second round of the French presidential election on 7 May. French judges requested her immunity be lifted at the end of March over claims of undue payments to members of her National Front (FN) party. The parliament alerted the EU's anti-fraud office, Olaf, in 2015 after it discovered that about 20 people paid as assistants to FN MEPs were also listed as working at the party's headquarters near Paris. 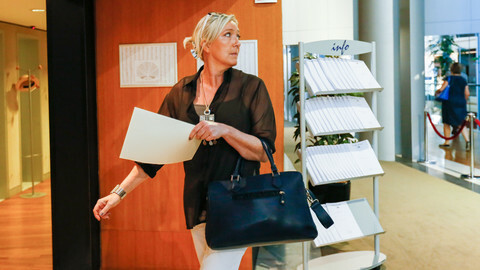 According to a report leaked by French media earlier this year, Olaf found that Le Pen signed work contracts for her bodyguard and her head of cabinet assistant. It said the contracts could constitute a "misappropriation of funds, or fraud and use of fraud". Last September, Le Pen was asked by the parliament to repay €339,946 to cover the salaries of the two assistants. Paris judges opened a case against the FN over embezzlement, organised fraud, forgery, and undeclared work. They searched the party's headquarters in February. Le Pen's head of cabinet, Catherine Griset, was charged a few days later. According to Le Monde newspaper, judges found a document that could prove that the FN established a system to fund the party with EU parliament money. "In the coming years, we can manage only by making large savings thanks to the European Parliament and if we obtain additional transfers," FN treasurer Wallerand de Saint Just wrote in a note to Le Pen, according to Le Monde. On Thursday, the AFP press agency said parliament told judges the cost of the alleged fake jobs between 2012 and 2017 was €4,978,122. 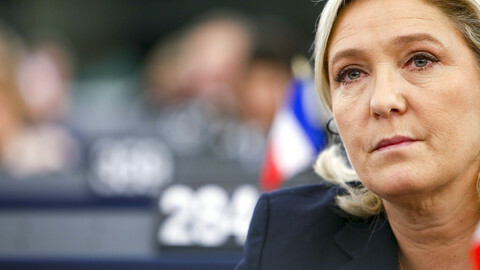 Le Pen has denied any wrongdoing and said that the case was "persecution by political opponents". She has so far refused to comply with court summonses, but losing her immunity would oblige her to obey. 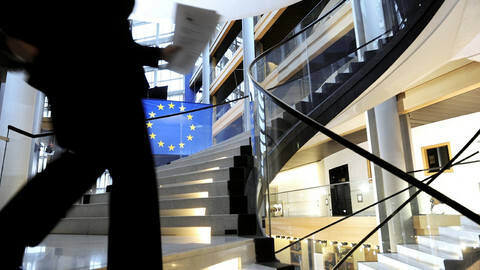 The EU parliament already lifted her immunity in an unrelated case in March. She is under investigation in France after posting on Twitter, in 2015, pictures of men being tortured and killed by the Islamic State (IS) militant group, to protest against the comparison between IS and her National Front party by a journalist. Le Pen, who came second in the election first round on Sunday, wants France to leave the euro and has promised to organise a referendum on the country's EU membership. In a TV interview on Tuesday, she said however that she was "not an adversary of Europe". 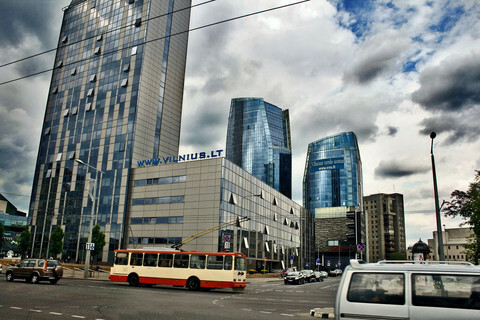 "I feel European. I would like freely agreed accords between nations. This is this kind of Europe that I want to see emerge, and I want France to be behind that beautiful project, that beautiful initiative," she told TF1 channel. She said that she wanted to convince the EU "to negotiate" return of powers to France before give French voters "a final say" on the result. A week before, on the same channel, she had refused to be interviewed unless a European flag placed behind her was removed. A leaked EU anti-fraud office report says French far-right leader, Marine Le Pen, had her bodyguard and personal assistant paid by the EU parliament for jobs they did not do. Despite opinion polls that place centrist Macron well ahead of the far-right leader Le Pen in the 7 May presidential run-off, doubts are emerging about his capacity to unite the French people around his candidacy. Le Pen has met Putin three times, not once, as reported, but how much money did her party get and with what strings attached? 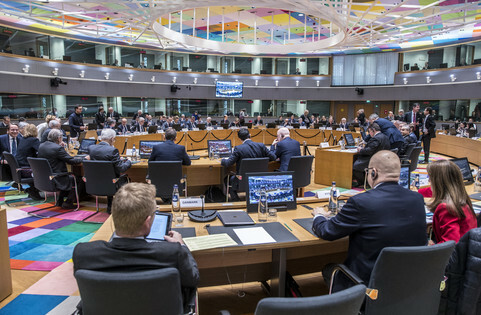 An internal audit seen by EUobserver shows a half million euro hole in the Europe of Nations and Freedom group's accounting records. Revelations in France are surfacing that centrist MEPs from the Democratic Movement may have unlawfully used EU parliament funds to pay assistants working for the national political party. 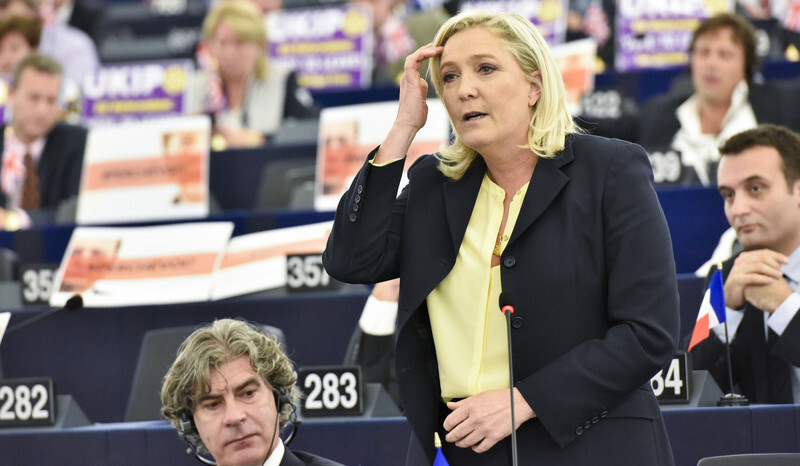 As MEPs start to examine a request to lift Marine Le Pen's parliamentary immunity on Monday, judges in Paris are trying to tighten the judiciary's noose around the French far-right leader.